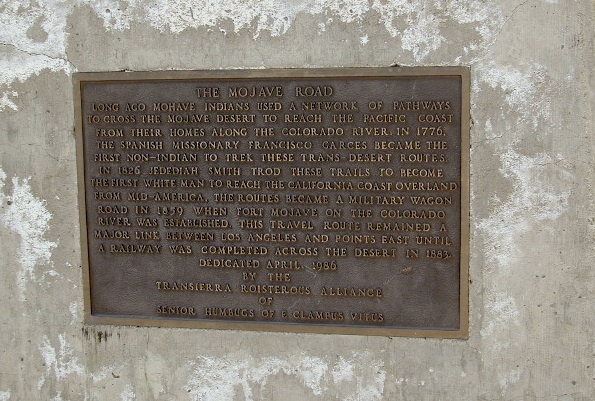 The historic Mojave Road spans the high desert region of east California – crossing the Colorado River westward to roughly Los Angeles. 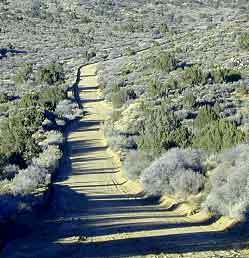 Now a network of dirt and paved routes follow the original overland trade route. Click the plaque photo below to read more. 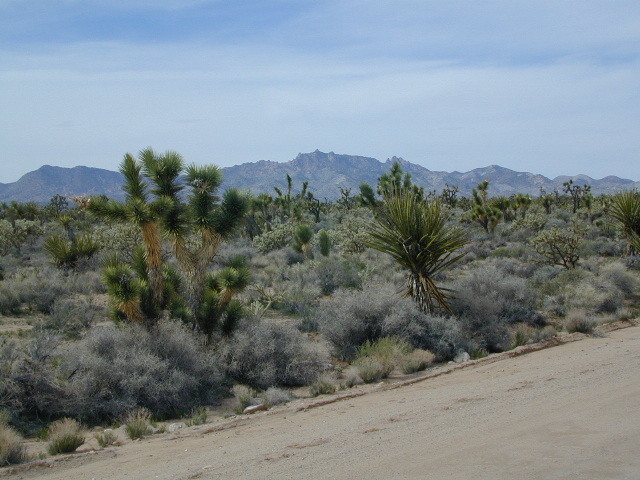 The rugged, dirt road cuts right through the middle of the Mojave National Preserve. Mid Hills, Kelso Depot, Cima. Joshua Trees, mountains, boulders, sand dunes, railroad history. 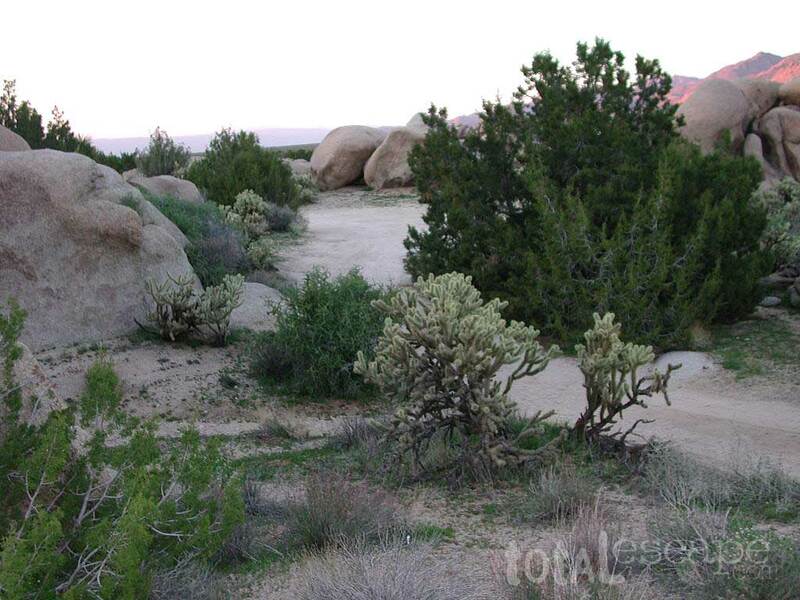 The high desert is abundant with wildlife, plant life, lava tubes, caverns, camping, and dirt roads. Plus wild windy weather. Located on the way to Vegas, NV – or the Grand Canyon in Arizona. 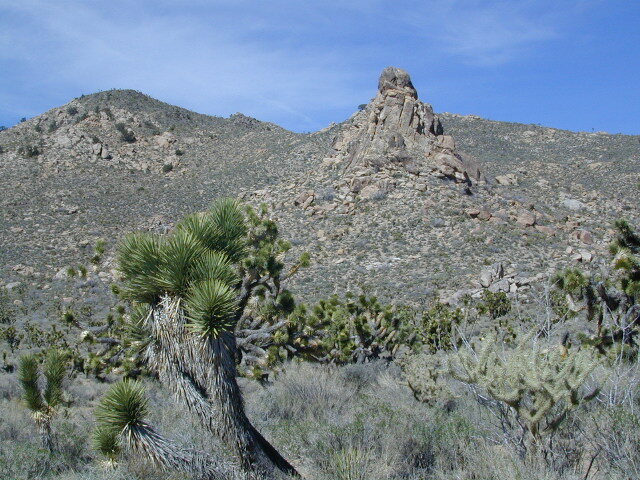 Mojave NP is in the triangle space in between Interstate 15 and Interstate 40, on the eastern side of southern California. Freeway close, free camping in the Mojave does indeed exist, if you know where to look. 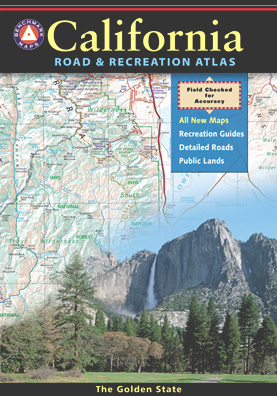 National Geographic acquired Trails Illustrated Maps more than a dozen years ago. Ever since these plastic topo maps have gone 2 sided, full-color w/ more details featured than ever before. Updated regularly. Waterproof plastic, perfect for outdoor desert travels. 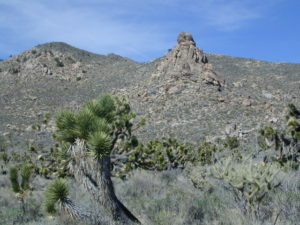 Mitchell Cavern, called Providence Mountains SRA, has camping, but it is situated up on an exposed bluff overlooking the freeway. Location gets windy as hell. Better campground is at Hole in the Wall, or even better, Mid Hills Camp. Primitive, free camping can be found off of Kelbaker Road, but be warned: dirt roads can get deeply rutted and impassible during extreme wet weather. 4WD may be required sometimes. One of the first readily available topographic style maps of the Mojave desert. Waterproof plastic, Tom Harrison brand maps are perfect for any type of backcountry travel, on foot, on horse, or off-road. Best map for statewide coverage! 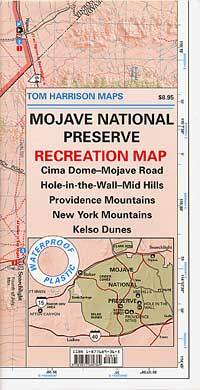 This premium full state atlas has the whole, massive Mojave desert covered, which extends north into Death Valley National Park and south to Joshua Tree National Park.